A pair of large walnut armchairs in the Regence style well carved and good large proportions in excellent condition with no breaks or wobbles. 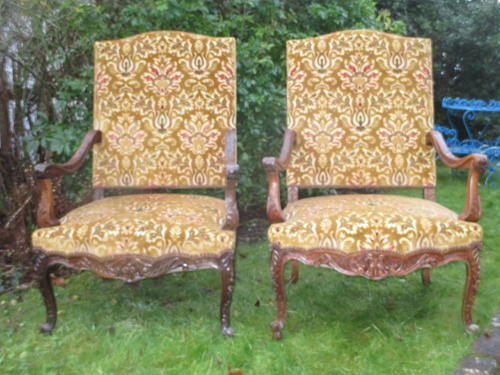 Can be re- upholstered if required at very reasonable cost. Dating to around 1900.